How do I track the URL in my message? Links must be shortened using the link shortening tool to enable link tracking. 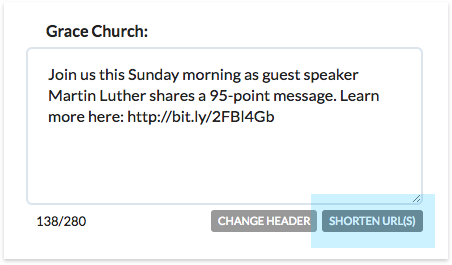 This can be done while creating your message by clicking the blue "Shorten URL(s)" button. Once a message has been sent, you can view link performance by clicking on the link under Link Tracking in the View Message page.